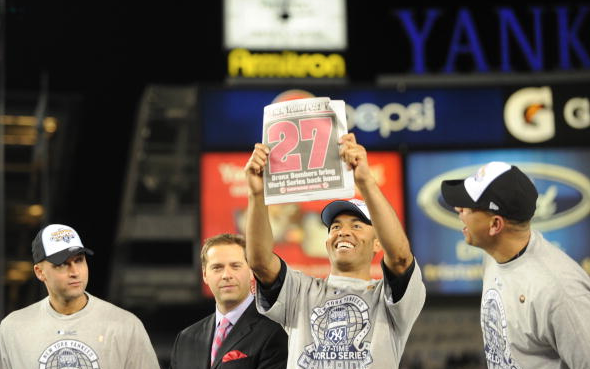 When people think of Mariano Rivera’s post season career, a few specific series come to mind. 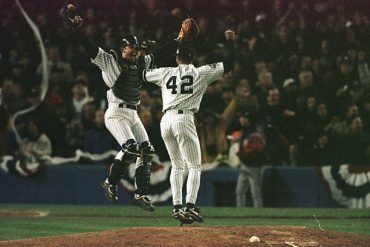 The 1999 World Series against the Braves, where Rivera was named World Series MVP; the 2003 ALCS, where he threw three shutout innings in game seven, setting the stage for Aaron Boone’s heroics; the 2001 World Series and 2004 ALCS are remembered by many because it was so shocking to see Rivera walk off the mound in defeat in a post season series. One series that often gets overlooked is the last World Series Rivera played in, the 2009 World Series. In honor of Rivera’s election to the Hall of Fame today, let’s take a look back Rivera’s seventh and final World Series appearance. 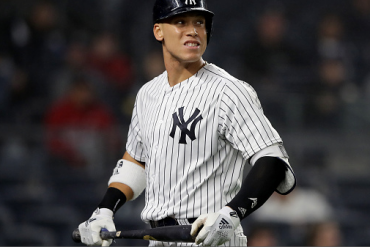 While this series is mainly remembered for Hideki Matsui’s dominance and A-Rod’s homer off of the camera in game three, Rivera may have been the most important player in the series. 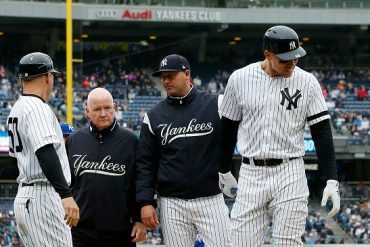 In Game 2, the Yankees were teetering on the edge of disaster. 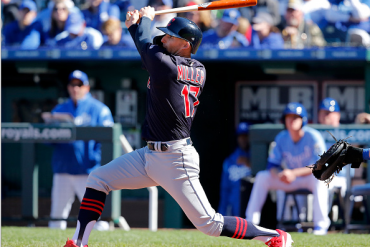 After getting absolutely steamrolled by Cliff Lee in game one, they fell down 1-0 in the second, but rallied to tie the game in the fourth before they took the lead in the sixth. With the score 3-1 Yankees after seven, Joe Girardi asked Mo to get the last six outs, knowing very well that this was a must win game after already losing game one at home. Rivera retired Carlos Ruiz on an easy ground ball to start the inning, but then came trouble. Jimmy Rollins worked an 11-pitch walk, and then Shane Victorino slashed a single to right field. All of a sudden, the Phillies had the go ahead run at the plate, and it came in none other than the form of Chase Utley. As you probably remember, Utley terrorized the Yankees that series, smashing five home runs in the six game series to tie Reggie Jackson’s World Series record. All of a sudden, terror was looming, and Yankee Stadium grew tense as Utley crowded the plate. Utley, always a tough out, worked the count full. On a 3-2 pitch, Rivera got Utley to ground to Robinson Cano, who spun and threw to Derek Jeter at second. Jeter avoided a vicious takeout slide by Victorino and gunned the ball to Mark Teixeira to complete the 4-6-3 double play. To me, this was the biggest turning point of the series. In the ninth inning, Rivera struck out Ryan Howard and got Jayson Werth on a lineout. With two outs he allowed a double to future Yankee Raul Ibanez before striking out Matt Stairs swinging to end the game. The series was tied. 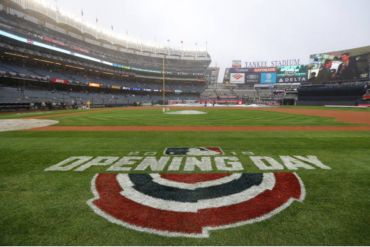 In game three the Yankees fell behind for a third consecutive game, as they trailed 3-0 after just two innings. They eventually rallied to take an 8-4 lead entering the bottom of the ninth, and the plan was to let Phil Hughes pitch the final frame in a non- save situation to save Mo for a pivotal game 4 the following night. After Hughes got Pedro Feliz on a ground ball to open the inning, he promptly let up a home run to Ruiz to make it 8-5. Girardi went to Rivera to stop the bleeding. Rivera entered the game with two outs. He needed just five total pitches to get Stairs on a grounder to second and Rollins on a weak pop up to A-Rod at third. This huge come from behind road win gave the Yankees a 2-1 series lead. Game four was another nail biter. The game was tied 4-4 heading into the top of the ninth, before the famous Johnny Damon double-steal rally tacked three runs on the board. With a 7-4 lead entering the bottom of the inning, Girardi went to Rivera for the second night in a row. Incredibly, Rivera retired Stairs, Rollins, and Victorino on a total of eight pitches! In a span of two games, Rivera got five outs on just 13 pitches. Remarkable. This gave the Yankees a 3-1 lead, and everyone assumed the series was over. After losing to Cliff Lee again in game five (Has any pitcher ever owned the Yankees more than Lee? Just writing his name down gives me the shakes) the yanks returned home to the Bronx to wrap things up. This one was never really a game. The Yankees jumped out to a 2-0 lead on two run homer by Matsui (what a series for Godzilla) before extending their lead to 4-1, and then 7-1. With the Yankees leading 7-3 in the eighth, Girardi brought in Rivera with one out and none on, asking him to get five outs to end the series. Mo got Werth swinging, but Ibanez got him for another double with two outs. It never got scarier than that, as Feliz popped up weakly behind home plate to end the inning. The ninth inning was simply a formality. Stairs lined to Jeter at short before Rivera walked Ruiz on a full count. Rollins flied to right field, and the Yankees were one out away from number 27. Victorino, always pesky, fouled off pitch after pitch on a full count. Finally, on the tenth pitch of the at bat, He tapped a weak grounder to Cano, who effortlessly flipped the ball to Teixeira. All in all, Rivera threw 5.1 innings of shutout ball in the series. 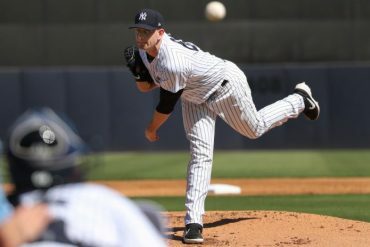 He allowed just three hits, struck out three, and finished off all four Yankee wins, registering two saves. The Phillies were formidable opponents as defending champs that year, and the series could have easily swung in the other direction if it weren’t for the greatest closer in the history of baseball, Mariano Rivera.